Epilepsy is a disorder characterized by recurrent, unprovoked seizures. For a person to be diagnosed with the condition, he must have had two unprovoked seizures that have not been caused by another medical condition. Brain injury or family history may be linked to incidences of epilepsy, but in most cases, the exact etiology of the condition is unknown. Most people with the condition experience more than one type of seizure, which can be indicative of the existence of other neurological problems. In a seizure, the normal pattern of neuronal activity is disrupted, which causes strange sensations, emotions, and behavior or sometimes convulsions, muscle spasms, and loss of consciousness. This can be a severely affect a person’s safety – especially when driving or walking – as well as impact relationships. In the U.S. alone, at least 3.4 million people have epilepsy, and one in 26 people will develop epilepsy in their lifetime. The main symptom of epilepsy is a seizure. 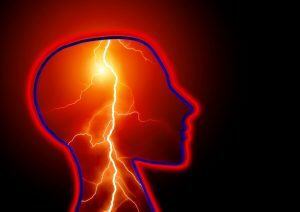 There are cases where the cause of the condition is unclear, but some factors may increase a person’s risk of having a seizure. A generalized seizure or grand mal seizure affects all areas of the brain. To a person observing the seizure, someone affected may cry out or make a sound, stiffen for a few seconds, then have rhythmic movements in the arms and legs before stopping. He will return to consciousness after a few moments. Partial or focal seizures affect a localized part of the brain, so rhythmic movements will only occur in the area affected. This may also involve strange sensations and repetitive movements. Frequently, a person with a partial seizure will become disoriented; a condition called “complex seizure,” where a person is fully alert yet unconscious. Absence seizures or petit mal seizures are common in children with the condition. This is characterized by staring blankly and repetitive moments in a short amount of time. The condition only occurs for a few seconds, but it can happen frequently. When a seizure lasts for more than five minutes or when a person experiences difficulty breathing, medical intervention is required. The same applies to those who have experienced their first seizure, as well as those who have sustained injuries during the episode. Epilepsy primarily impacts the brain, but seizures are experienced all throughout the body. Various natural treatment options are available in managing epilepsy. To better determine if these can better help manage your condition, consult with a healthcare professional to get an assessment of possible benefits and risks. Here are some items that may help you with epilepsy. Herbal treatments: Commonly used herbs for managing epilepsy include burning bush, groundsel, hydrocotyle, lily of the valley, mistletoe, mugwort, peony, scullcap, tree of heaven, and valerian. However, avoid herbs such as Gingko and St. John’s wort as they may impede with antiseizure medications. Vitamin B6: Studies have shown that vitamin B6 can be used to treat a rare form of epilepsy called pyridoxine-dependent seizures. Magnesium: In a 2012 study published in Epilepsy Research, the authors posited that severe magnesium deficiency could increase the likelihood of seizures. Vitamin E: Scientists have said that it is safe to be used with traditional medicines for the condition and that it helps reduce seizures. Healthcare professionals usually treat epilepsy with medication. This will reduce the frequency and intensity of seizures, and patients can wean off them in two to three years’ time. However, anti-epileptic medications could have side effects as mild as skin rashes to something severe as suicidal thoughts and organ inflammation. Epilepsy is a disorder that is characterized by recurrent, unprovoked seizures. Brain injury or family history may be linked to incidences of it, but in most cases, the exact etiology of the condition is unknown. Most people with the condition experience more than one type of seizure, which can be indicative of the existence of other neurological problems. In a seizure, the normal pattern of neuronal activity is disrupted, which causes strange sensations, emotions, and behavior or sometimes convulsions, muscle spasms, and loss of consciousness. This can be a severely affect a person’s safety, as well as impact relationships.